"You and I are entirely reliant on a cumulative body of cultural know-how that is transmitted from one person to another, and accumulates over generations. Ours is a succeeding species in that we are able to socially transmit complex behavior-shaping information between generations." Luamke ānaylaf keal guvada āmayshene ucydcydir, maresa ānaylaf. Ās meydaur nānen, da dateish ecynaynish kealir gāynaen tuytta ish saraur mwyf da favuke ecynaynish kealir āmayshene aduta anelir ās kiksa sueass, uaylan deass āmamda kesada dy uanaysheaf kawydem. Ās aynavda baytke, geikda aykuvish āsanir āmayshene, aduta tuytke meydaen uaykikir ānaylaf keal uwyfwyfen. Gudune da aduta ānanta ecyncynem fedufta, ās da favuke baytaf āmaylid kayksa mamke dy ās da dateish baytaf āmaylid geigish dcydem dy aylensa dateish ueashaynur. 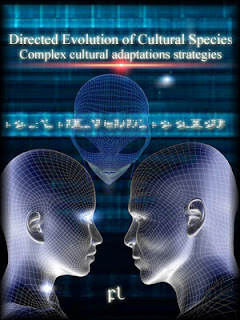 "Cognitive adaptations is what make cultural evolution possible. Now, what makes a cognitive adaptation possible in the first place? The nervous systems of all animal species on Earth function basically the same and are constructed in the same basic manner, but their cognitive adaptation differ largely. However one thing is true: we are all here. In my opinion this proves intelligence alone does not guarantee cultural evolution. There's must be something else." "Learn this, Norea: a thousand-year-old civilisation is more likely to acquire behaviours adapted to their personal ecology than by trying to imitate a houndred-thousand-year-old civilisation. Learn from your neighbours from Deneb Algedi, better than trying to learn from Giselians." "Contact with Giselians relies on technologies that are hard to invent and master asocially. One needs to learn new strategies and to master new technologies, technologies so complex that to master them you need first to go through cognitive adaptations. With your current cognitive skills you wouldn't be able to even understand the most simple Giselian objects. Again, you need to rely on social information, you need a cohesive cognitively adapted society, and only then fruitful contact could be initiated. Only when you rely on social learning would you be able to cross the threshold to cumulative cultural evolution and become a truly cultural species among other cultural species." Āsayshēm cynulem ecynaynish nālish āleykne ālal cykasish reveta wyfafen nāmem āsanir aylugsa aydemne mwyf gāynish, meydair gāynaen maymaf dy haeal ifehem dateish acymeattish kēalda ālferem gēal, alesur daheaf kuealta. Keigir, aifcymir dy wydevir runuta tuytir aykugta, cynusta keal āsaymen ayswyfaf da sesaur tuhusa dy tuysir duruta bemāf sa bufersa uaysheasen. Gāynish haealaf ish tewydish ālal kwylke kealir keigir dy keal alukir āsanir hadēm, gegair aladsa gufaur kagata kealir cynulem ecynaynish. Retaur meydaen nemaem veaykda lahaen kealir keigir, kikid wyfahem asugir keigir, ana kāymsa. 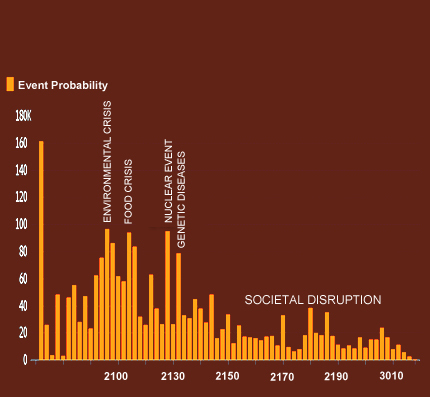 "The increased influence of human civilization on its immediate environment has been so sudden and deep that the ecological conditions needed for the normal operations of society are no longer provided by a naturally changing biosphere. Mankind needs to learn how to engineer the biosphere, and needs to learn it soon. Within a generation or two Nature won't be able to continue providing the essential environmental conditions needed for humankind survival. The issue arises on whether we are morally obligued to generate for them the necessary conditions for their own ecological existence or whether we are to leave them on their own. That is: is our compassion compatible with human Free Will?" Āldylda kealir uaykikaf ana ebuda ifegne aeasscydsa meydaen ēasseassda eaykaykir dy ānaylaf nāylke, demeta eaymifish āleyksa da hureda kealir da dateish āmaymir dy gefeda (āmaylid aladsa ānaynaem heifem āldylid) eaymifish eattassa ās da wydam wyfafen aylenish. Uaykcykur uanayshēn dwygem ālferem uyreashem mwyf āneydaen aleten kikid dateish fuigsa, āmaylda da faeattsa metaem fedevta da bekune ās guferaf huealem dy haeal runuta maymaf ana kaykem da leydaid, aferfedne ālal āsaske defedne kanuen āmayshene, āleykne āsamne faidta, tabūr, māyn dy kubaish guferaf huealem. Fafu, gāynish dateish uduir vusuem aeasscydir dy nehesa kwyl rewylem kealir favene. Da aysysda kealir gāynaen daydish vufeden, dy ish aykugsa, ueashcynir mwyf tegeir der-der keal āmaylid dyledta favuke gewylid āmaylda āmaylid da mysta dy ealul kealir getuta awyfwyfen geidke ās da teytir eaynāmir. "minds are shaped by culture and therefore acting on culture is acting on minds; cautiously tweaking and directing a civilization's culture is tantamount to shaping people's minds. Now, larger populations tend to have more complex technology and culture and it is complex technologies what you need to make contact, hence we reasoned we should act in the direction of coalescing the entire Sol-3 population into a single highly interconnected global society. There is a causal relationship between a population’s sociality and its technological sophistication and cultural complexity." Daydne ish ueashcynir heifaf mifem da igefke kealir meyda dy revake, leifish kealur daydish āsanir aeassayd mwyf aladd, keal luaynake āmaylda adylferaf dy der-der kwyl da wyfemta. Keal kik ānaylaf vuigur uealayk getuta mwyf sa bewylda ās meydaur nānen, āmaylda da āmanaf kealir awyfwyfen daydish haealaf aififda fekeke nāylem da acynaynur kealir kcykid tameur, efereykaf dy tuyt. Dy ālferid meydaen daydish acykikta eifcymen meydaem hadēm ish eykumta (ebada nāylem da kuwygur kealir necymsa āsaynāf), da telada ucykwylda kealir datene leidur aifcymke aysifta, gegair fekeke raeykur dy kanuen āmayshene. Meydaen ish nāsir hadēm kealda tuleish ālal uaylasen kealir gāynaen huealem mifsa mwyf mwyfsa āsamne ālal eamasne ās leydasa kikid igehid, dukair ānanish suealne. Gāynaen daydish uaysheasen ānaysheir ecynyrsa meydaen kealir āleyk kuwyfke geigish. Ferumid āleyk kealir sa bevair eassetda efereykaf, kafedish dy ikag ana ueashcynir velada da aymagne kealir favuir; uaylaynaid favuir ānaylaf fedunir āsaym wydemur neashda mwyf hese āsanir kiksa gāynaen aykugta, āmaylda dcydem haealaf ish ālal teyrur deassa, āsaym tayske, kutāf laikaf āmaylid amagta kealir eaykaykir. "In the past, people believed in gods and saw them as creators. Nowadays, people create gods. The idea behind engineered gods is that some combinations of supernatural beliefs and rituals can galvanize cooperation and favor success in intergroup competition better than alternatives, and therefore engineered gods help in our goal of generating large scale cooperation in Sol-3. See, gods are pivotal for the evolution to larger societies from fragmented small-scale societies. Obviously, the more advanced a civilization is, the more complex the god you need to use to direct the evolution of that society. Paradigm-shift vehicles and Denebian probes are used that way: they are to be taken as the new gods by those exposed to them." "Astroengineering and megastructures require the cooperation of several civilizations. The fact that your neighbors have not yet arrived at the required stage of technological development poses a dilemma for you: either you help them to achieve that technological development - hence interfering with their normal development - so that you both can build the machine, or you don't help them, therefore advocating yourself to extinction. There's no choice. The Universe is a tricky place in which the question is not if you are alone, rather whether you can stand to be alone." Ifehem aymahne luha, ebada aykudta luha, ana fedavke dyledur, ās da mamta kealir aykugsa dyledur ucymwyfir ālal sueassem āsansa fedavke. Aykudta dcydem ish ālal āsaske ānaynaish kealir aladsa kikaf, teleonomikne lasne. Da memene aymahne faeassne kealir aykudta dcydem ish mwyf ucyneashir anusen kealir da eaynāmir meydaen āmaymir ucydaydsa naifta āsamne da idum favuke meyrsa mwyf ucyneashir, ma cymke āleykne āmaymir meydaen kunaen wydevid favene. Barrett, C., Cosmides, L., Tooby, J. (2007). The hominid entry into the cognitive niche. In: Evolution of Mind, Fundamental Questions and Controversies, eds Gangestad, S., Simpson, J. (Guilford Press, NY). Basalla, G. (1988) The evolution of technology. Cambridge University Press, Cambridge. Carneiro, R.L. (1985) Comment on Darwinian selection, symbolic variation, and the evolution of culture by D. Rindos. Curr. Anthropol. 26. Dunbar, R.I.M. (2003) The social brain. Ann. Rev. Anthropol. 32. Enquist, M., Ghilanda, S., Jarrick, A., Wachtmeister, C-A. (2008). Why does culture increase exponentially? Theoretical Population Biology, 74, 46–55. Griffiths, T.L., Reali, F. (2011). Modelling minds as well as populations, Proceedings of the Royal Society (B). Köhler, T.A., Gumerman, G.J. (eds) (2000) Dynamics in human and primate societies. Oxford University Press, New York. Leibbrandt, A., Gneezy, U., & List, J. A. (2013). Rise and fall of competitiveness in individualistic and collectivistic societies. Proceedings of the National Academy of Sciences, 110(23), 9305-9308. Muthukrishna, M., Shulman, B. W., Vasilescu, V., & Henrich, J. (2013). Sociality influences cultural complexity. Proceedings of the Royal Society B: Biological Sciences, 281(1774), 20132511. Mesoudi, A., Whiten, A., Dunbar, R.I.M. (2006). A bias for social information in human cultural transmission. Br. J. Psychol. 97. Perreault, C., Moya, C., & Boyd, R. (2012). A Bayesian approach to the evolution of social learning. Evolution and human behavior, 33(5), 449-459. Powell, A., Shennan, S., Thomas, M.G. (2009). Late Pleistocene demography and the appearance of modern human behavior, Science, 324. Richerson, P. J., & Boyd, R. (2000). 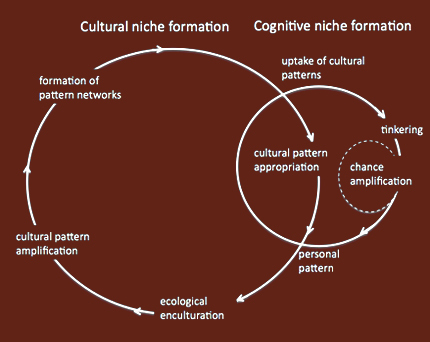 Climate, Culture and the Evolution of Cognition. In C. M. Heyes (Ed. ), The evolution of cognition (pp. 329-345). Cambridge: MIT Press. Soltis, J., Boyd, R., & Richerson, P. J. (1995). Can group-functional behaviors evolve by cultural group selection? : An empirical test. Current anthropology, 473-494. Vaesen, K. (2012). 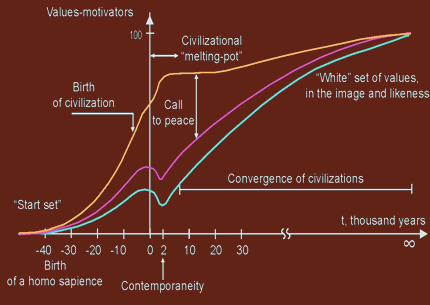 Cumulative cultural evolution and demography. PloS one, 7(7), e40989. Werner, G., & Dyer, M. (1992). Evolution of communication in artificial organisms. In C. Langton, C. Taylor, J. Farmer, & S. Rasmussen (Eds. ), ArtifiŽcial Life 2 (pp. 659–687). Redwood City, CA: Addison-Wesley.